December 4, 2008 Pt.2 | Sizzle: When The Media Sizzles, You'll Find It Here! Mash-Ups: We are loving the mash-ups of rap songs and children’s programs. Some combinations: Spongebob and Eminem, Family Guy and Akon, Barney and Soulja Boy, etc. Pretty hysterical. Kanye West: Forget music. Kanye is switching gears (or industries) and looking for an internship in the fashion world. Something tells us he won’t like getting coffee for the higher-ups, but we’ll let him figure that out all on his own. 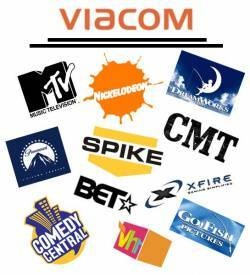 Viacom: Laid off a whopping 850 people today at MTV, Nickelodeon, VH1, Comedy Central and other subsidiaries. Not a good day. MTV: Holy crap! Long-time correspondent John Norris is supposedly one of the fired employees! What is the world coming to?! NBC: And the ax continues to fall. 500 employees cut. Eliot Spitzer: Don’t count the former gov down and out. He’s been hired by Slate to write a column on goverment regulation. To all wondering, this does not include prostitution. The Daily Beast: Great piece on why Gwyneth Paltrow’s new site (which goes by the oh-so-attractive name GOOP) is a big mistake. Bratz: Victory for Barbie collections everywhere! A judge has ordered production on Bratz dolls to cease immediately (and for stores to send back their stock!) since the (ugly) dolls were conceived by a dude who worked for Mattel at the time. Ah, sweet revenge! Sundance: No less than 3 journalism/media films in the mix. We’re dying to see The September Issue, which follows Anna Wintour and the production of Vogue’s September issue. Chicago Magazine: Has a really interesting article on Amy Jacobson, the news reporter fired for “misconduct” when she tried to interview Craig Steib, whose wife remains missing. This entry was posted on December 4, 2008 at 5:27 pm and is filed under Uncategorized with tags Akon, Amy Jacobson, Annia Wintour, Barbie, Barney, Bratz, Chicago Magazine, Comedy Central, Craig Stebic, Eliot Spitzer, Eminem, Family Guy, GOOP, Gwyneth Paltrow, John Norris, Kanye West, mash-up, Mattel, MTV, nbc, Nickelodeon, Slate, Soulja Boy, spongebob, Sundance, Sundance Film Festival, The Daily Beast, VH1, Viacom, Vogue. You can follow any responses to this entry through the RSS 2.0 feed. You can leave a response, or trackback from your own site. Wow, a lot of people are getting fired… pretty scary stuff.